Nicole Boyd is a photographer, graphic designer, and actress at Pennsylvania’s Most Terrifying Haunted Attraction. She did not know real fame until she became the girlfriend and second wife of Jackass star Bam Margera in a dramatic wedding ceremony that took place in Reykjavik, Iceland in October 2013. Nicole tied the knot with her new husband along with his music crew before they proceeded to the live performance at the Random Hero Festival held to raise funds for a new skate park in Iceland. This post contains more information on Nicole Boyd, her personal life, career, family and other facts that might interest you. Although not much is known about the birth year of Nicole Boyd who marks her birthday on the 24 of January yearly. She has kept information about her family and early years under a tight lid and no verifiable facts about that exists as of now. She may, however, be a native of La Mirada, California according to her social media handle (Facebook page). As a Photographer, graphic artist and actress, her income has not yet been disclosed. In fact, Nicole Boyd’s individual net worth is yet to be verified. 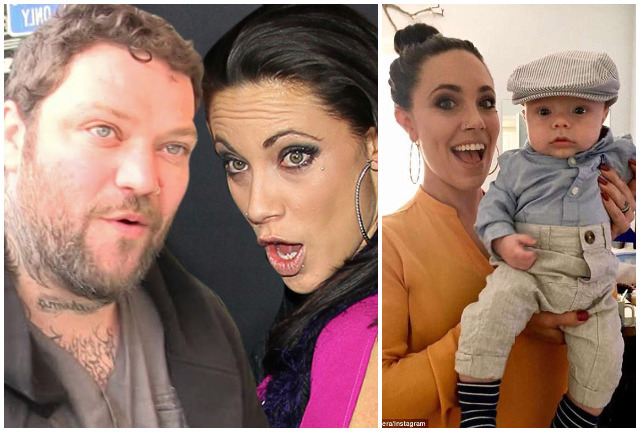 However, her husband Bam Margera who is the more famous of the couple earns handsomely as a professional skateboarder, stunt performer, actor, and television personality. Bam is a registered member of Element Skateboards demonstration team, known as Team Element. He has written and performed in films like Jackass 3d (2010), Bam Margera Presents: Where is the Santa (2008), Jackass Number Two (2006) and others. Moreso, he has a radio show known as Radio Bam, which first aired on Sirius Satellite Radio in 2004. As a businessman, he owns a West Chester based bar and theatre, The Note and a popular clothing line. His estimated net worth is $60 million. Nicole Boyd got married to Brandon Cole Margera – popularly known as Bam Margera on 5th October 2013. Bam Margera is an American Pro Skateboarder, rock musician, stunt performer, and filmmaker. He is also a TV personality best known as part of the main cast of MTV’s reality comedy series Jackass. He was born in West Chester, Pennsylvania on September 28, 1979, to Phil and April Margera. Bam has a younger brother named Jess. He got his nickname Bam from his granddad who called him Bam Bam. A name which was later shortened to Bam by his high school friends and stuck to him ever since. Nicole Boyd and Margera exchanged marital vows before a thronging audience before Margera pulled off a breathtaking performance with his music band F—kface Unstoppable. Their wedding took place barely a year after Bam Margera legally divorced his first wife and college sweetheart Mellissa Rothstein who he married in 2007 and broke up with years later in 2012. Interestingly, the professional skateboarder had a similar wedding arrangement with his estranged former wife. Margera has been struggling with alcohol abuse that has landed him in several troubles. He told an interviewer from the Philadelphian Inquirer that his alcoholism contributed to his divorce. The stunt performer also lost his friend Ryan Dunn in a fatal accident caused by DUI. His wife Nicole Boyd has also had her own brush with the law in May 2016 while driving under influence. The West Chester patrol team took her in after she crashed into a Hyundai car landing the occupant of the car in a hospital for a minor checkup. Reports have it that she earlier crashed the same Porsche Panamera sometime in 2011. Bam went into rehab in 2015 and has been mostly sober until he was arrested in 2018 for Driving under the Influence of alcohol which sent him back to the rehab program after posting a huge bail. Nicole Boyd, her spouse Bam Margera and their son Phoenix Wolfe. Nicole Boyd announced her pregnancy on June 22, 2017, with a video post which showed off her baby bump. She added a caption Pregnant! ; And on December 22nd, 2017, a baby boy they named Phoenix Wolfe finally arrived. She told a reporter that they chose the name Phoenix because the name seemed to follow them around besides, according to her, she and Margera met at the Phoenix Theatre in California during a concert. In 2017, the couple moved to Barcelona Spain after the birth of their baby. Margera stated that he needs a place to skate away from the public eye to as well as focus on building their new family. Nicole states that Bam hopes to teach Phoenix Wolfe skating as he grows older. Bam is taking a new approach to life and hopes to be a loyal husband and exemplary father to his wife and son respectively.